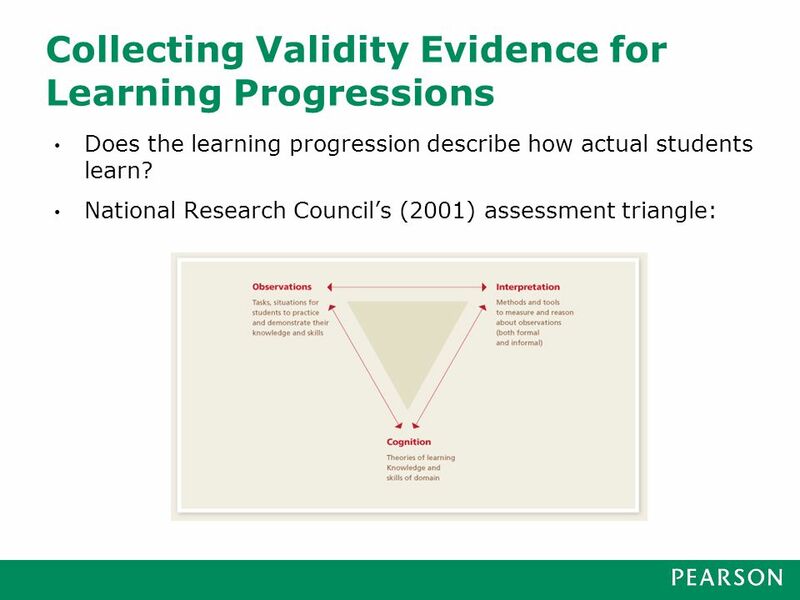 What are learning progressions and how do they relate to standards? 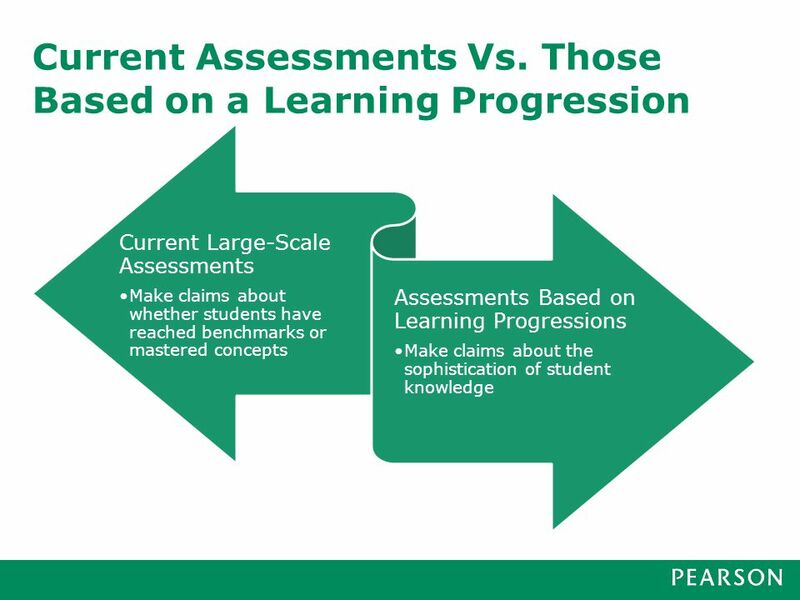 How do learning progressions impact assessment? 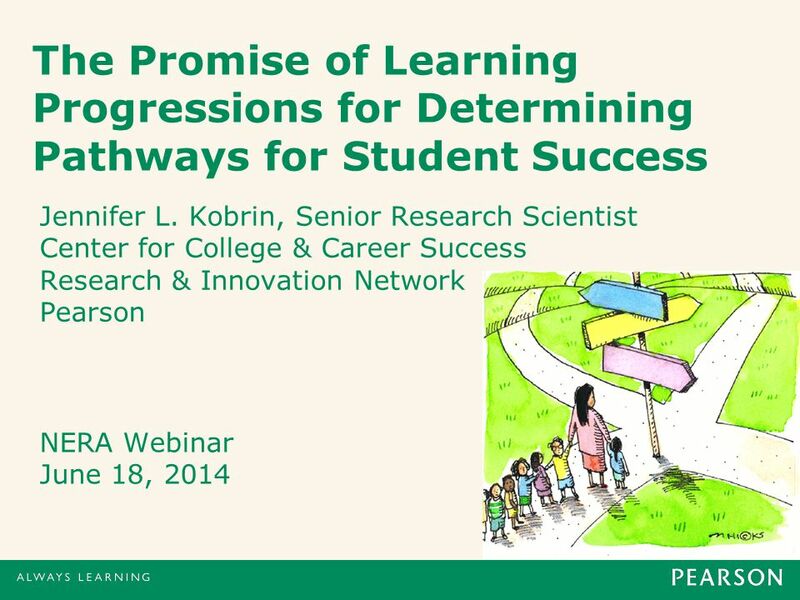 How can learning progressions be used to improve teaching and learning? 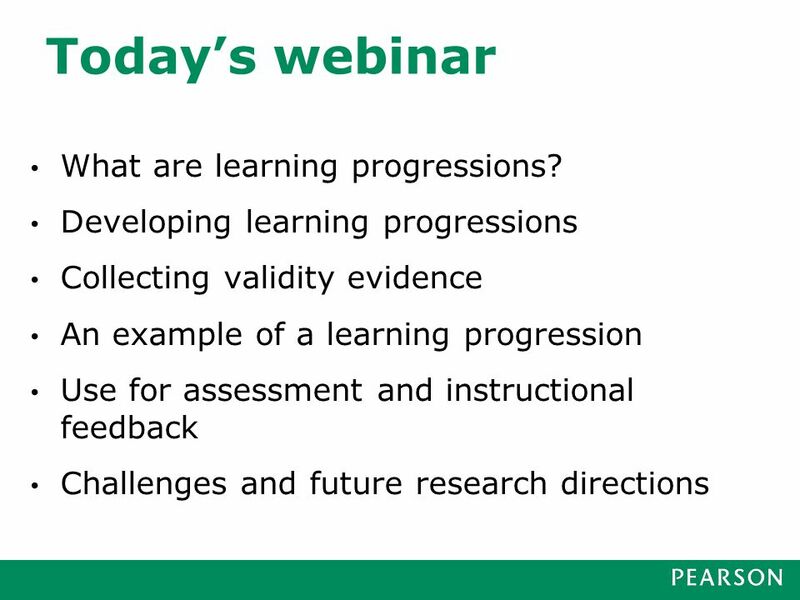 5 Today’s webinar What are learning progressions? 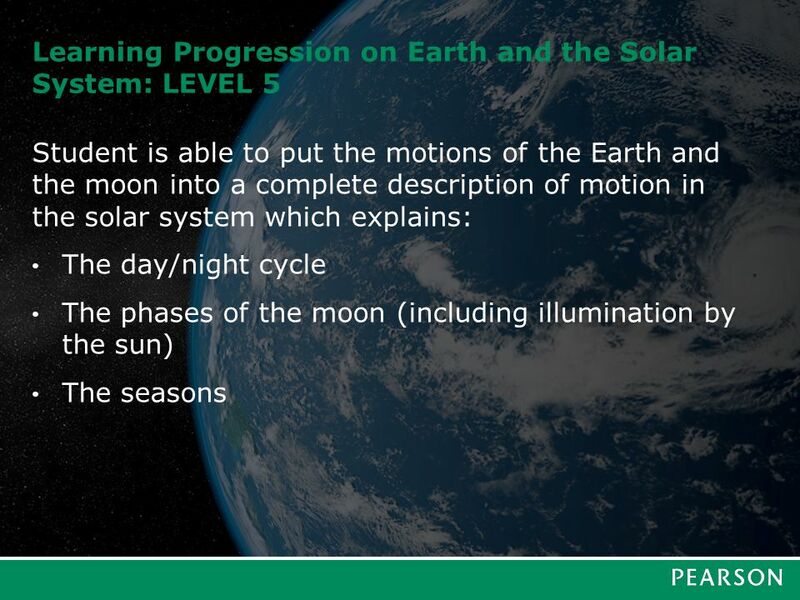 6 What are learning progressions? Also called learning trajectories, progress maps or progress variables Most common definition (National Research Council, 2007, p. 214): Descriptions of the successively more sophisticated ways of thinking about a topic that can follow one another as children learn about and investigate a topic over a broad span of time. 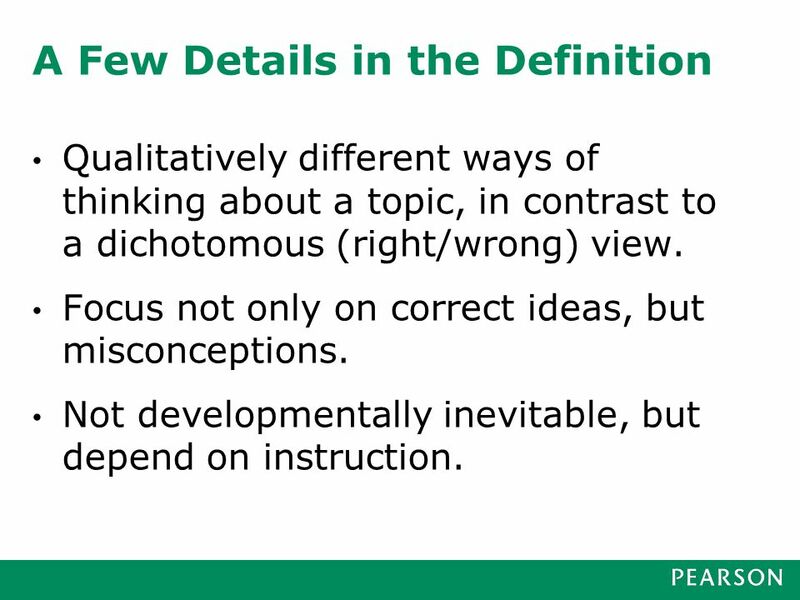 Qualitatively different ways of thinking about a topic, in contrast to a dichotomous (right/wrong) view. Focus not only on correct ideas, but misconceptions. 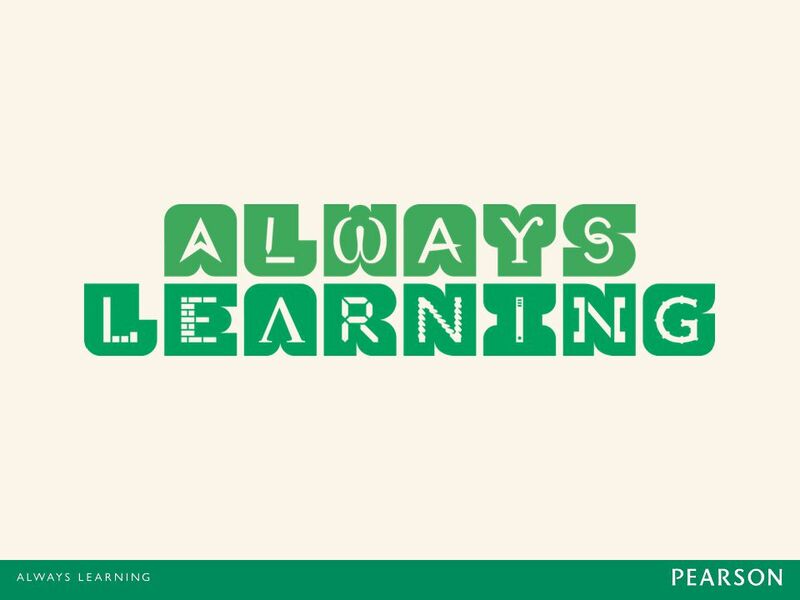 Not developmentally inevitable, but depend on instruction. 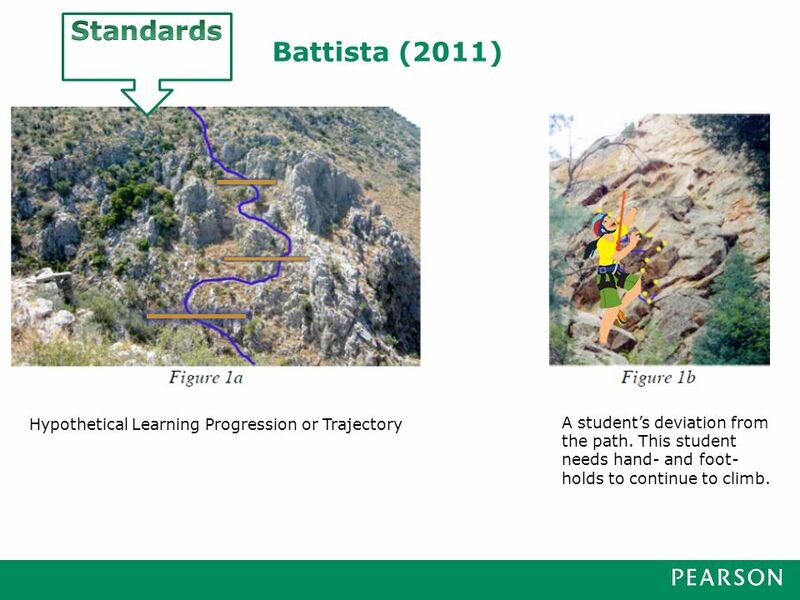 Standards Battista (2011) Hypothetical Learning Progression or Trajectory A student’s deviation from the path. This student needs hand- and foot-holds to continue to climb. 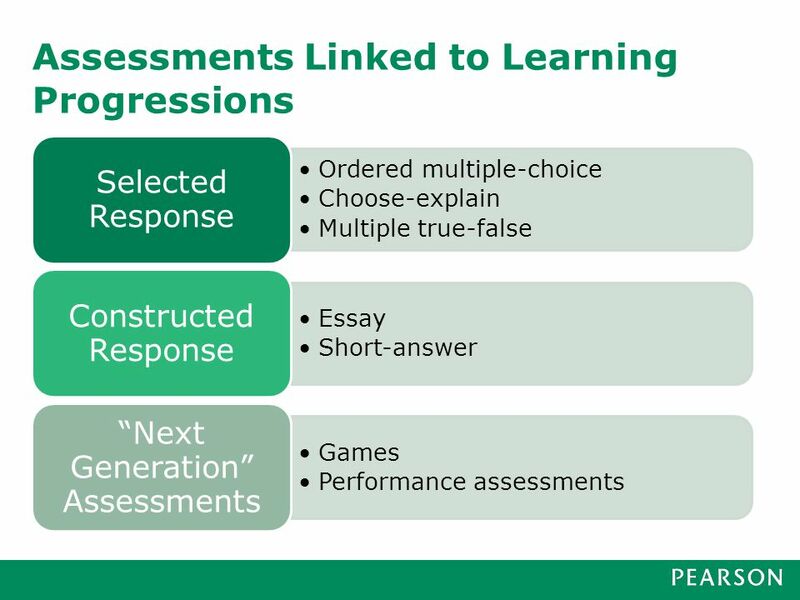 10 Why are we interested in learning progressions? They can offer a stronger basis for describing the interim goals that students should meet if they are to reach the Common Core standards (CPRE, 2011). 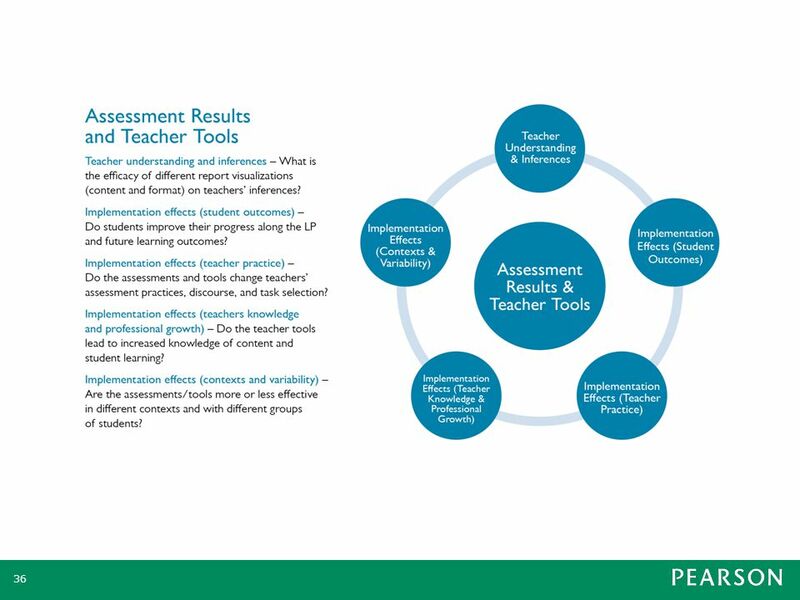 They can be used to guide development of assessments and instructional materials that can provide teachers with a clear map for how student knowledge and skills can develop. 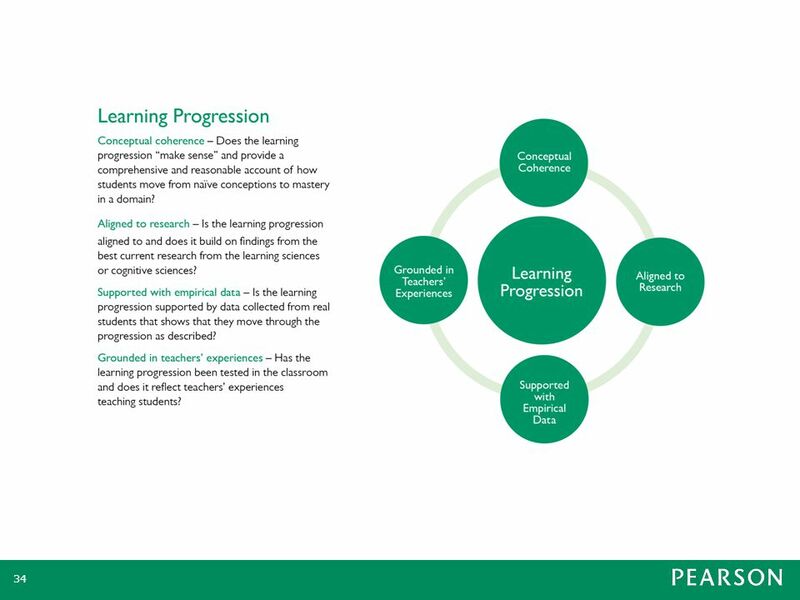 11 How are learning progressions developed and what do they look like? 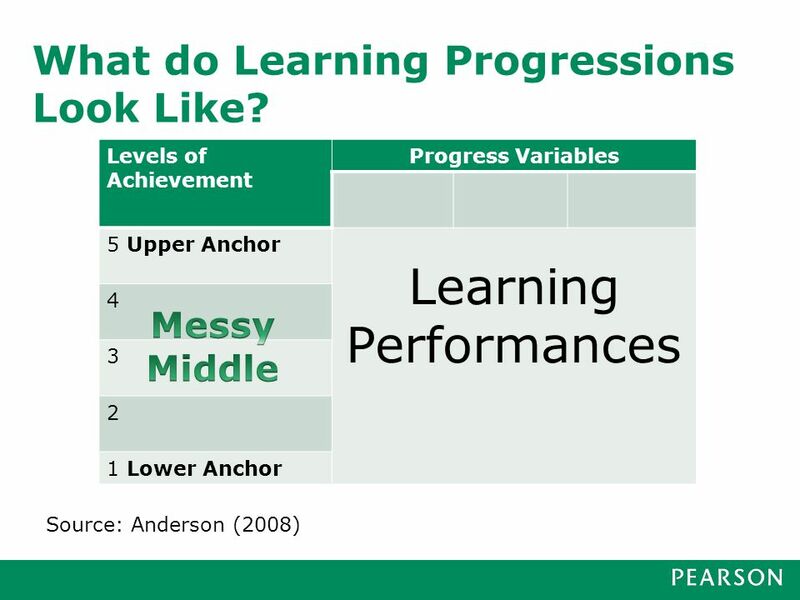 12 How are learning progressions developed? 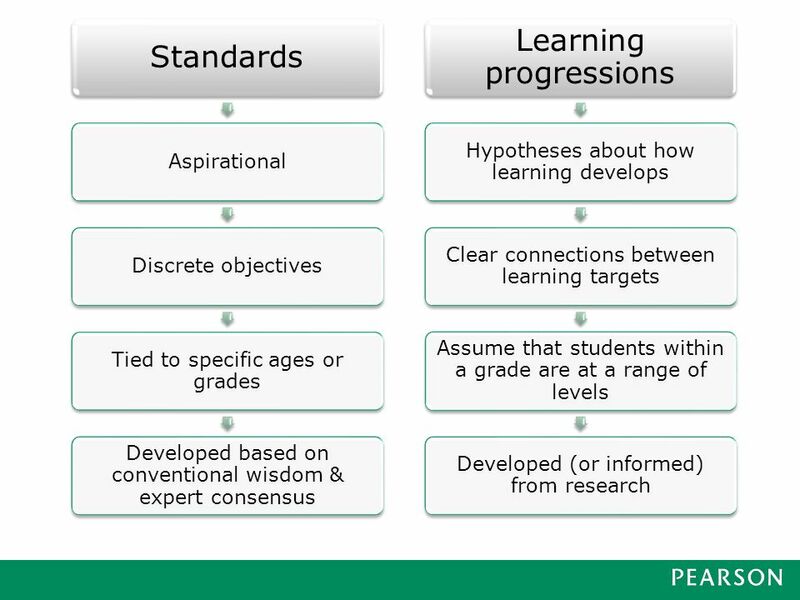 13 What do Learning Progressions Look Like? 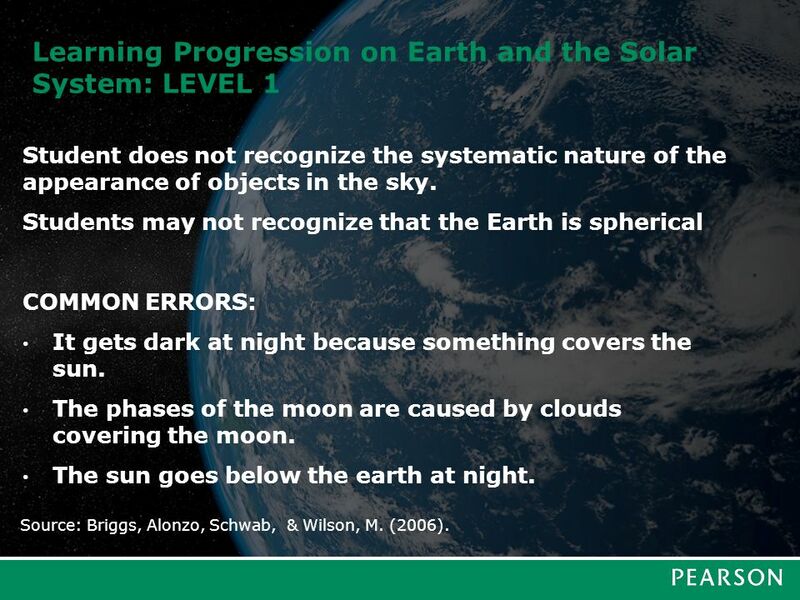 Student does not recognize the systematic nature of the appearance of objects in the sky. 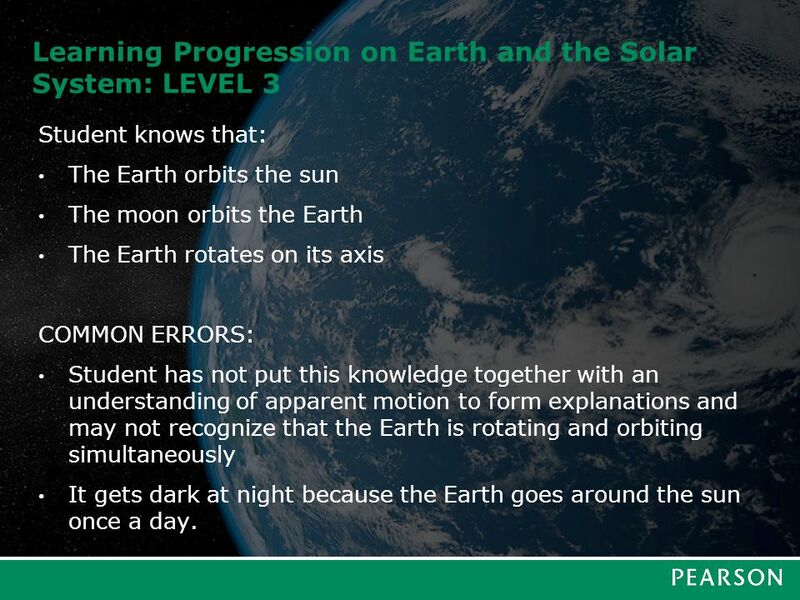 Students may not recognize that the Earth is spherical COMMON ERRORS: It gets dark at night because something covers the sun. The phases of the moon are caused by clouds covering the moon. The sun goes below the earth at night. Source: Briggs, Alonzo, Schwab, & Wilson, M. (2006). 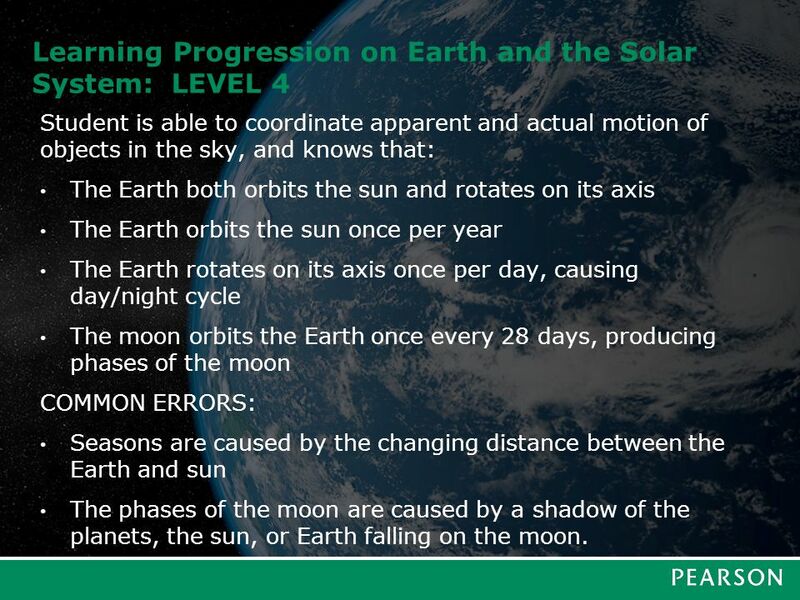 Student knows that: The Earth orbits the sun The moon orbits the Earth The Earth rotates on its axis COMMON ERRORS: Student has not put this knowledge together with an understanding of apparent motion to form explanations and may not recognize that the Earth is rotating and orbiting simultaneously It gets dark at night because the Earth goes around the sun once a day. 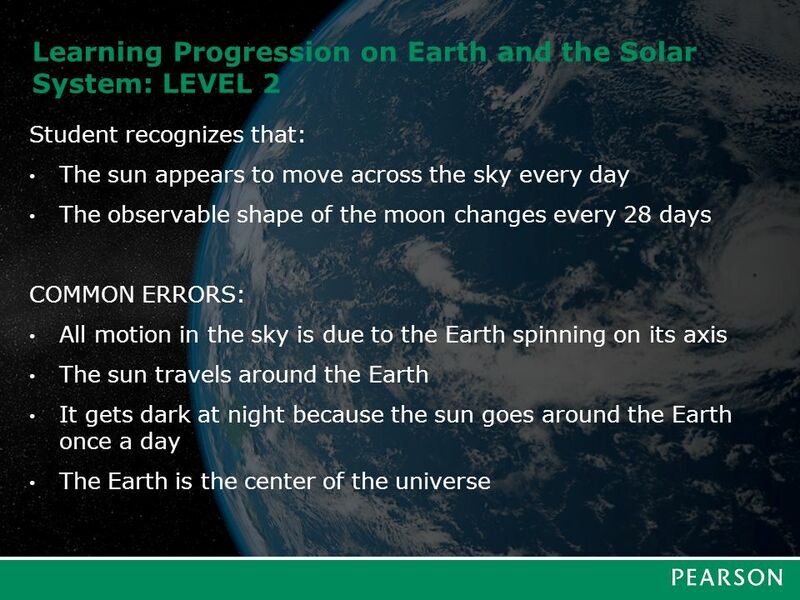 Student is able to coordinate apparent and actual motion of objects in the sky, and knows that: The Earth both orbits the sun and rotates on its axis The Earth orbits the sun once per year The Earth rotates on its axis once per day, causing day/night cycle The moon orbits the Earth once every 28 days, producing phases of the moon COMMON ERRORS: Seasons are caused by the changing distance between the Earth and sun The phases of the moon are caused by a shadow of the planets, the sun, or Earth falling on the moon. 37 References Alonzo, A.C., de los Santos, E.X., & Kobrin, J.L. (2014). 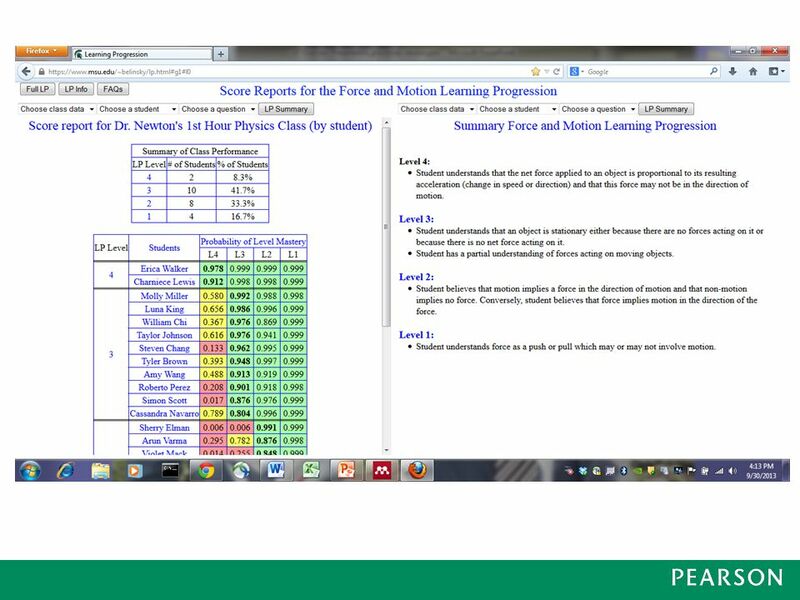 Teachers’ interpretations of score reports based upon ordered-multiple choice items linked to a learning progression. Paper presented at the annual meeting of the American Educational Research Association (Philadelphia, PA, April 7, 2014). Anderson, C.W. (2008). 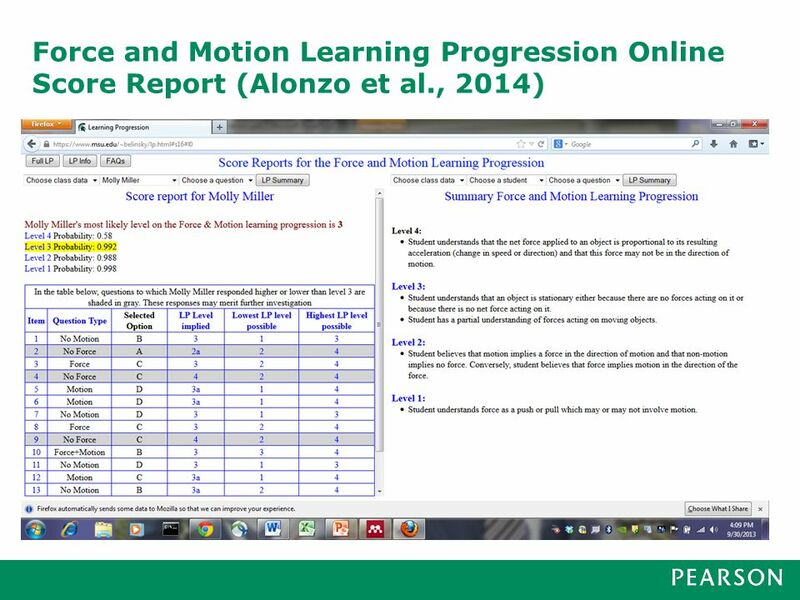 Conceptual and empirical validation of learning progressions. 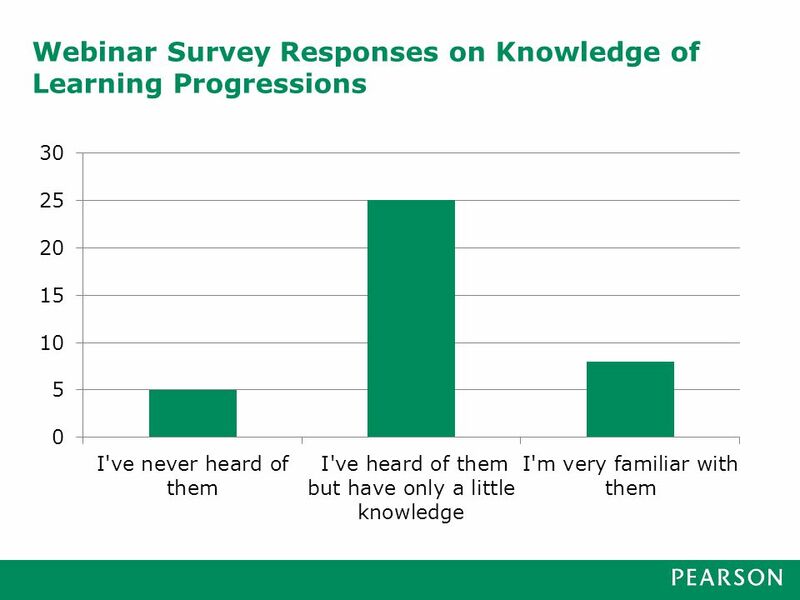 Response to “Learning Progressions: Supporting Instruction and Formative Assesment” (unpublished paper, available from Battista, M. T. (2011). 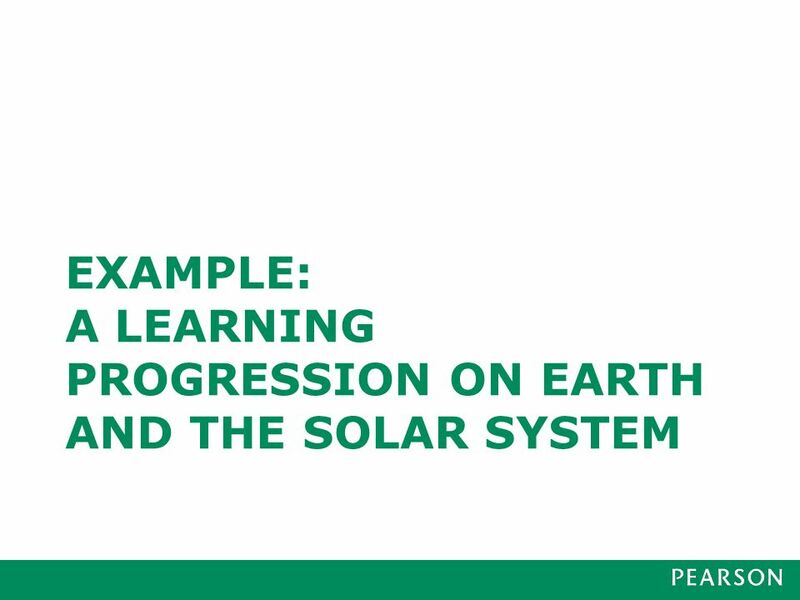 Conceptualizations and issues related to learning progressions, learning trajectories, and levels of sophistication. Montana Mathematics Enthusiast, 8(3), Briggs, D.C., Alonzo, A.C., Schwab, C., & Wilson, M. (2006). Diagnostic assessment with ordered multiple-choice items. Educational Assessment, 11, Consortium for Policy Research in Education (2011). Learning trajectories in mathematics: A foundation for standards, curriculum, assessment, and instruction. 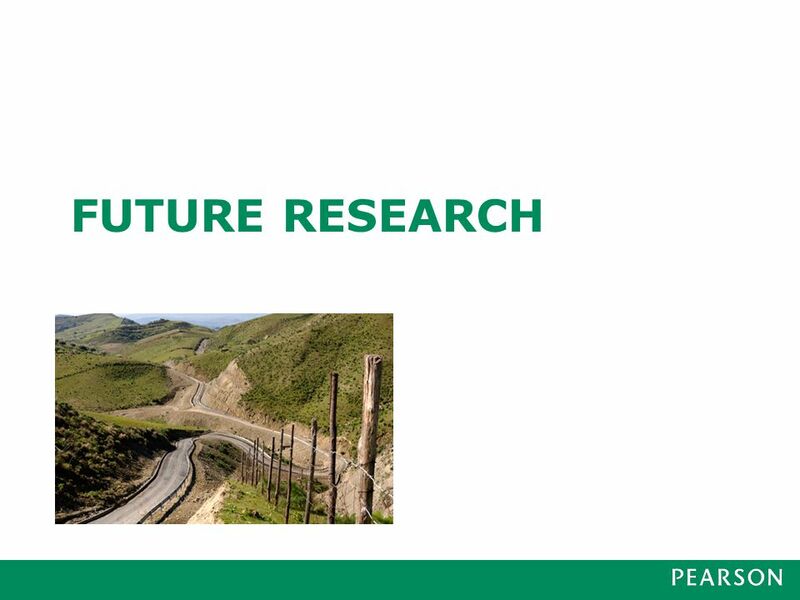 (CPRE Research Report #RR-68). Furtak, E.M., Morrison, D., & Iverson, H. (2013). 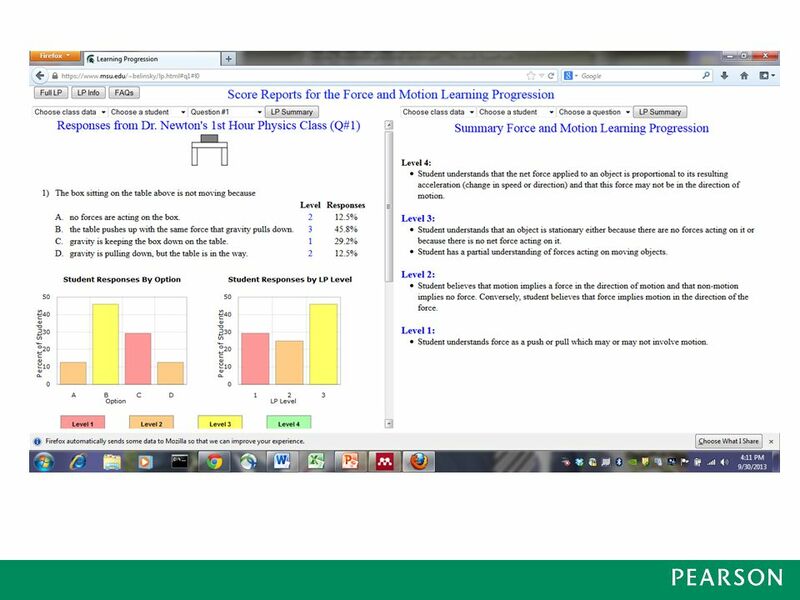 Challenges in developing classroom assessments linked to multidimensional learning progressions. Paper presented at the National Association of Research on Science Teaching Annual International Conference, Puerto Rico, April Heritage, M. (2008). 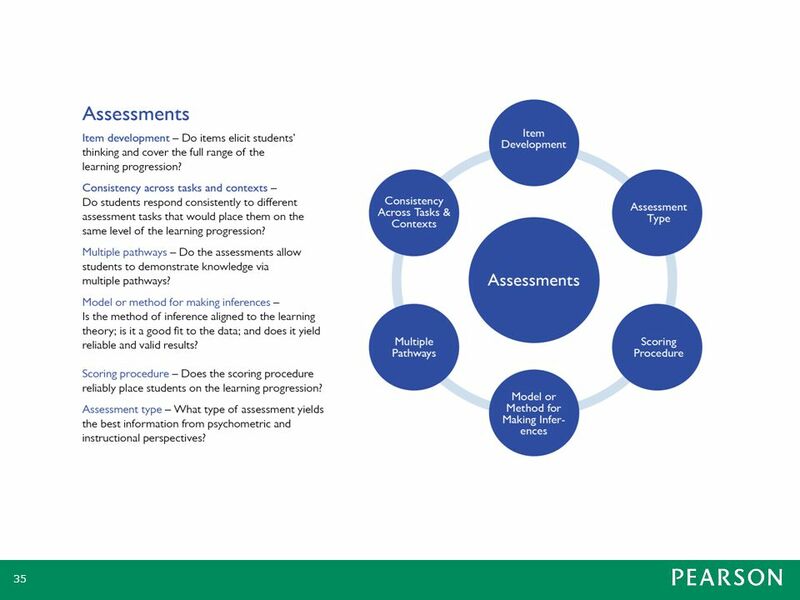 Learning progressions: Supporting instruction and formative assessment. Paper prepared for the Formative Assessment for Teachers and Students (FAST) State Collaborative on Assessment and Student Standards (SCASS) of the Council of Chief State School Officers (CCSSO). Meiers, M., Khoo, S.T., Rowe, K., Stephanou, A., Anderson, P., & Nolan, K. (2006). 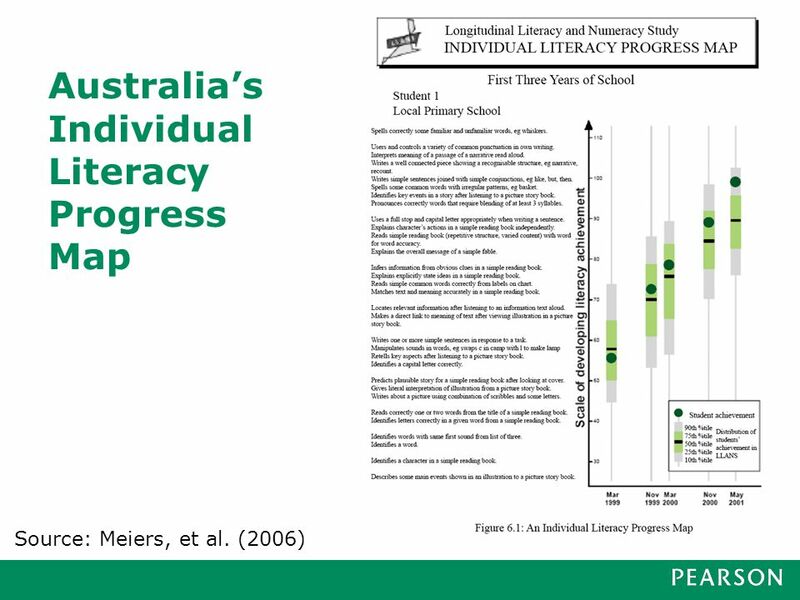 Growth in literacy and numeracy in the first three years of school. 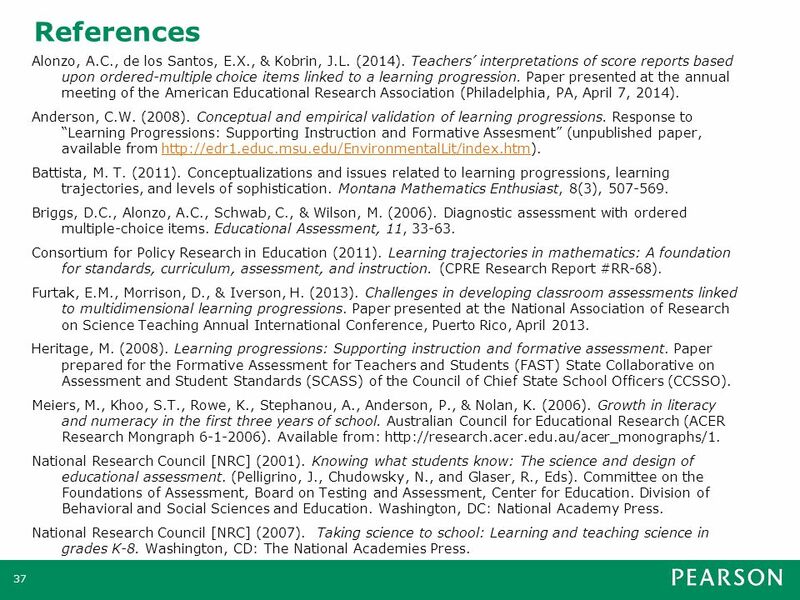 Australian Council for Educational Research (ACER Research Mongraph ). Available from: National Research Council [NRC] (2001). 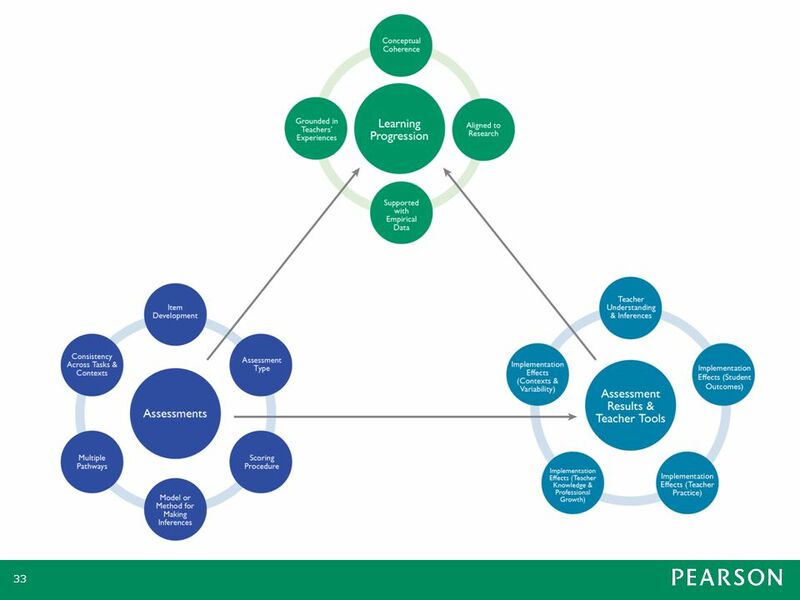 Knowing what students know: The science and design of educational assessment. (Pelligrino, J., Chudowsky, N., and Glaser, R., Eds). Committee on the Foundations of Assessment, Board on Testing and Assessment, Center for Education. Division of Behavioral and Social Sciences and Education. Washington, DC: National Academy Press. National Research Council [NRC] (2007). Taking science to school: Learning and teaching science in grades K-8. Washington, CD: The National Academies Press. Download ppt "Jennifer L. Kobrin, Senior Research Scientist"
Framework for the Future Curriculum Council Report May 18, 2010. Common Core State Standards Initiative An Initiative of the Council of Chief State School Officers and the National Governors Association Center for Best. Common Core Initiative FAQ Who is leading the Common Core State Standards Initiative? The Council of Chief State School Officers. By Delores Anderson July 12,  Enduring Understanding:  There are 3 major components to the enduring understanding. Should the order be revised? The Moon, the Earth, and the Sun Unit Portfolio Presentation Chris Hain. © 2010 Board of Regents of the University of Wisconsin System, on behalf of the WIDA Consortium The WIDA ELP Standards and Formative Assessment. Common Formative Assessment Inquiry & Action RESEARCH & EVALUATION BAKERSFIELD CITY SCHOOL DISTRICT SEPTEMBER, 2013. Michigan Department of Education April 23, 2009 Margaret Heritage Learning Progressions: Supporting Instruction and Formative Assessment.